As the leaves start to fall, Samhain draws near, and the hours of daylight get shorter and shorter, it’s hard not think about the creepiness that abounds throughout America, our fair state included. 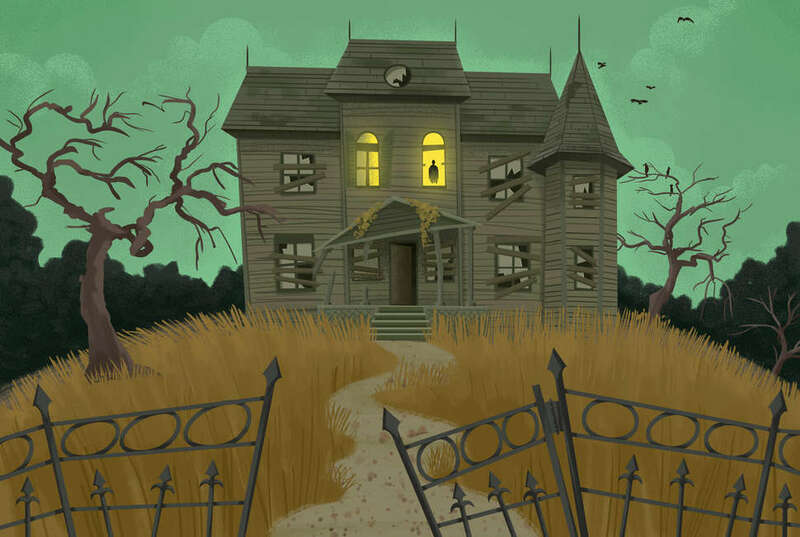 Michigan’s an old territory with a lot of history -- just like Ohio, or Pennsylvania -- and naturally, a lot of that history is ghoulish enough that it results in an inordinate number of supernatural sightings. Whether or not the claims are legit, October’s the perfect time to share ghost stories, so we’ve collected our favorite “haunted” places from all across the state, from eerie shipwrecks and forests to big city hotels. Detroit’s Whitney restaurant is one of the most upscale joints in town, and a reflection of the city’s economic grandeur in previous times. 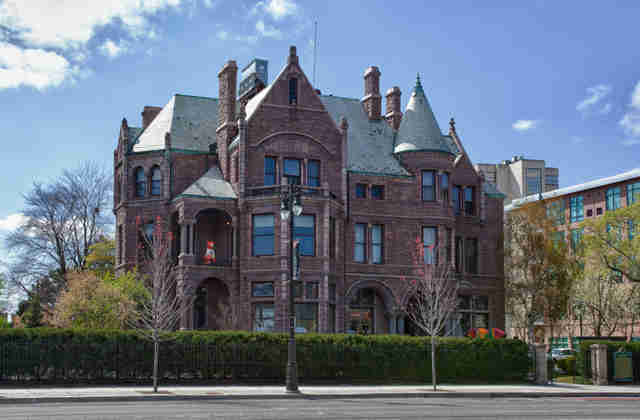 The mansion in which it’s housed was built by the lumber baron of the same name in 1894, and has exchanged hands many times since then, including being the home of the Wayne County Medical Society. It didn’t open as a restaurant until 1986, following some hefty renovations, but rumor has it that David Whitney Jr.’s ghost haunts the premises to this day, with so many sightings that management even went so far as to open a special bar in one of the creepiest corners of the restaurant: the Ghostbar. If you’re into paranormal kitsch and in need of a cocktail, this is the place for you. Originally built in 1891 to serve travelers of the Flint & Holly Railroad Line, this hotel has burned to the ground twice before -- but today, it’s a popular restaurant set in a picturesque country town. It’s been visited by paranormal experts numerous times and considered to be a hotbed of spirits, although whether these spirits are good, bad, or mainly of the Jack Daniel variety, remains unclear. Mysterious music, disembodied voices, and unsettling smells have been reported in the building over the years, and the Holly Hotel itself seems to be proud of its ghosts, going so far as to include a whole section about them on its website. This building stands on the scene of a 1910 crime scene, in which Warren Randall, a railway worker who’d lost his leg due to a train accident, murdered his wife Virginia in a fit of jealousy and insecurity before slitting his own throat with a razor. 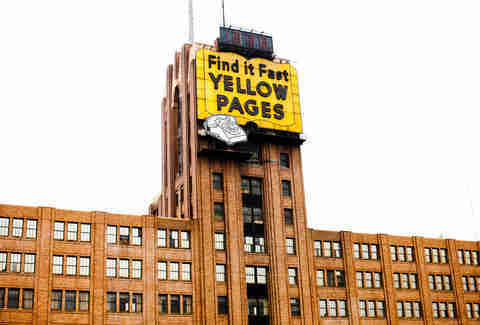 The Michigan Bell Telephone Co. purchased the property and erected the current building in 1924, but strange sounds have often been reported, including that of the murdered wife begging not to be killed. In 2013, the building was turned into housing and support facilities for the local homeless population -- but if you think a little remodeling is enough to scare away restless spirits, you clearly need to rewatch Beetlejuice. This stately mansion was built back in 1847 by a whiskey distiller and purchased thereafter by a local attorney, Strother Beeson (for whom the house is still named to this day). Beeson had an elaborate mausoleum built outside the home for his deceased mother’s remains. As the years went on, the mausoleum filled up with more and more members of the family (including Beeson’s own infant grandson), and the grounds are said to be alive with spirits, most notably that of the infant’s grieving mother (whose wails can reportedly still be heard at times). Since this is a private home, though, you should probably save your amateur ghostbusting for some of the other spots on this list. 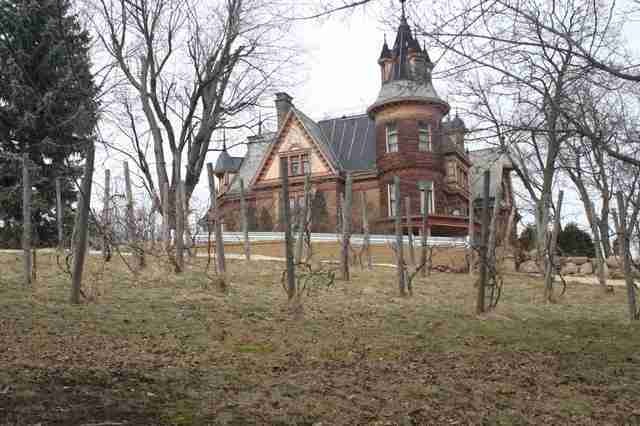 A slew of ghosts are said to roam the halls of this century-old mansion, which now serves as a luxury bed and breakfast overlooking the town of Kalamazoo. The dream of Frank Henderson, one of Kalamazoo’s earliest successful businessmen, construction was finished on the mansion in 1895. Taking up a whopping 11,000 square feet and sitting on three acres, the splendor of the home would have been inconceivable for many back in the 19th century (and is still impressive today). Between its time as a private residence, property of Kalamazoo College, and now an inn, guests and residents have reported feeling the presence of ghosts, hearing strange noises, and even seeing the apparition of the lady of the house, Henderson’s wife Mary. Mackinac is loaded with ghost stories, from its parks and cemeteries to its enormous Grand Hotel. Before it became the tourist destination that it is now, this island (which sits in the straits between Lake Huron and Lake Michigan) was home to the Odawa people. As European expansion forced its way westward and northward, the Odawa were pushed out, and the British established a base on the island during the American Revolutionary War. Later, it was the site of two major battles in the War of 1812, and there was even a witch hunt on the island in the 1700s, resulting in the drowning of several women (in a place now referred to as the Drowning Pool. All that history has made for some pretty diverse ghost reports, including sightings of native chiefs, revolutionary soldiers, and an unnamed “evil entity” that lurks in the Grand Hotel. 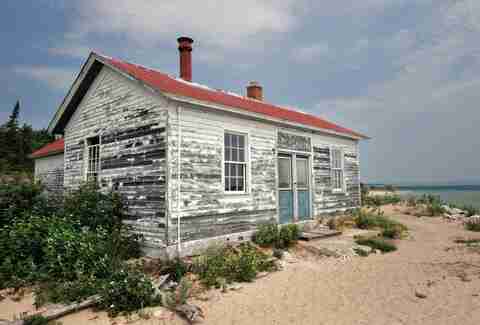 Located 16 miles offshore from Michigan’s Leelanau Peninsula, South Manitou Island is home to 300-foot sand dunes, deserted stretches of shoreline, empty rustic campgrounds, and some very interesting folklore. In the 1800s, the island became a popular harbor for ships traversing the newly built Erie Canal into the Great Lakes, and on to Chicago. One local legend surrounds a ship full of passengers stricken with cholera stopped at South Manitou, where sailors buried the victims in a mass grave -- some of them still alive at the time. Off the coast of the island lies the shipwreck of the SS Francisco Morazan, where rumors say a young island boy died after trying to explore it on his own. There are also two cemeteries on the island, and an ancient cedar forest where voices are said to be heard. This Greek revival structure was built in 1909 in a small Western Michigan town, where it was used as a hospital (and later mental asylum and tuberculosis ward); in 1961, it was purchased by the Elks Lodge and used as a meeting space for members. Most paranormal activity has been reported in the basement, which was -- of course -- the location of the old hospital’s morgue. Employees and visitors of the club have reported strange noises throughout the house, apparitions of children, and even cases of physical assault. The Elks put Allegan up for sale back in 2010, and as of September 2017 it appears to have been sold to a private buyer, so it’s best to admire this spooky structure from the street. 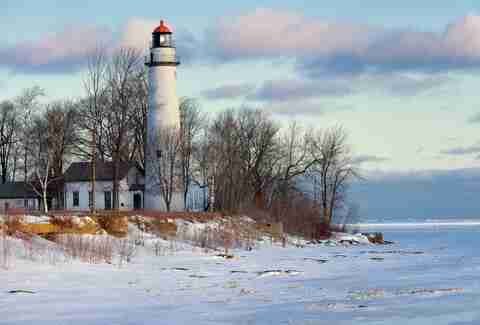 Built in 1848, the Pointe aux Barques is one of the oldest lighthouses in Michigan, and lights up the tip of the Thumb peninsula as it juts into the icy waters of Lake Huron. The lighthouse’s first keeper was said to have drowned shortly after its opening, leaving his wife and eight children behind; it’s said that a woman’s figure in mourning attire can be seen from time to time along the cliffs surrounding the lighthouse. People visiting the lighthouse itself have reported hearing footsteps and thuds from above when no one else is present, as well as smelling the smoke of burning tobacco -- and as we all know, every lighthouse keeper worth his salt is also a smoker. 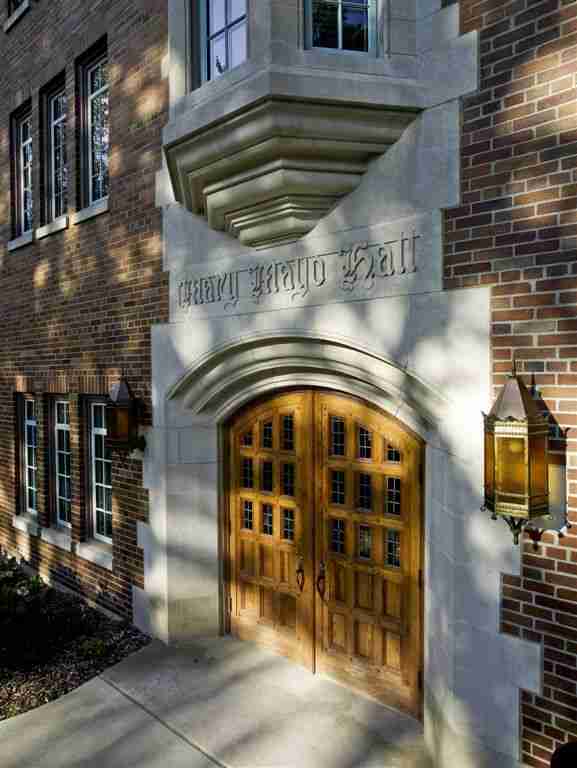 Mary Mayo Hall is one of the oldest residence halls on the campus of Michigan State University, having opened back in 1931; its namesake was an activist for women’s access to quality education. The hall’s been a co-ed residence for many years, never ceasing to draw rumors of paranormal activity: strange noises have been reported in the dormitory, including a piano that plays by itself. While the most widely spread rumor is that Mary Mayo herself died in the building, and that she’s the one doing the haunting, the fact that she died nearly 30 years before its construction means there’s got to be another ghost at play -- or, y’know, there’s some other rational explanation. Supposed séances and satanic rituals held in the attic in the 1930s may have something to do with the air of creepiness. This massive freighter used to transport enormous quantities of goods along the Great Lakes. Retired after 50 years of slogging the cold waters, the ship is now a 20,000 square-foot museum featuring exhibits on Great Lakes shipping, and of course, shipwrecks -- of which the all-time number is estimated at 25,000. Within the hull of the SS Valley Camp, you can find two lifeboats from the doomed SS Edmund Fitzgerald, which sank in 1975 in Lake Superior with no survivors. The two lifeboats are actually among the few remnants ever recovered from the freighter. Visitors to the museum report an exceptionally eerie feeling of being followed, and even of hearing voices, when they approach certain shipwreck exhibits. South Lyon was once a little railroad stop, bringing in travelers from all over the region as they ventured west from Detroit. 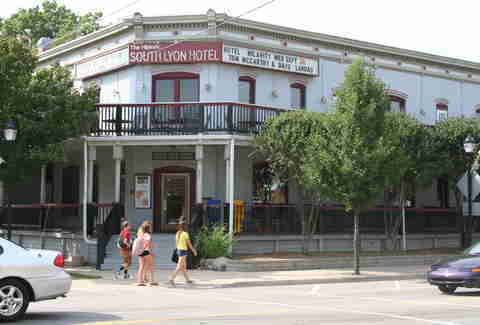 Over the years, the hotel (built in 1867) turned into a popular restaurant in what’s still mostly a one-horse town, serving up Michigan brews and damn fine pizzas, along with hosting weekend revelries and the occasional wedding. The hotel burned down in 2016 under mysterious circumstances, and is currently under renovation, but had been considered haunted for many years prior. The reason for the hauntings? The hotel was built over a razed cemetery. Yep, that’ll probably do it. Planning a spooky road trip? Check out the rest of our state guides to the Most Haunted Places in Arizona, Georgia, North Carolina, Ohio, Pennsylvania and Texas. Megan Frye grew up chasing ghosts along the train tracks and through the woods of Southeast Michigan. Tweet her your favorite Michigan ghost story at @fryechild.